I feel like I just had my hair cut. Truth of the matter, I only cut it about once a year, if even. Way too little than one should. So last time was probably more than half a year ago- see, I can't even remember! But I'm obsessed with long hair, and don't feel quite ready to "do what's right". 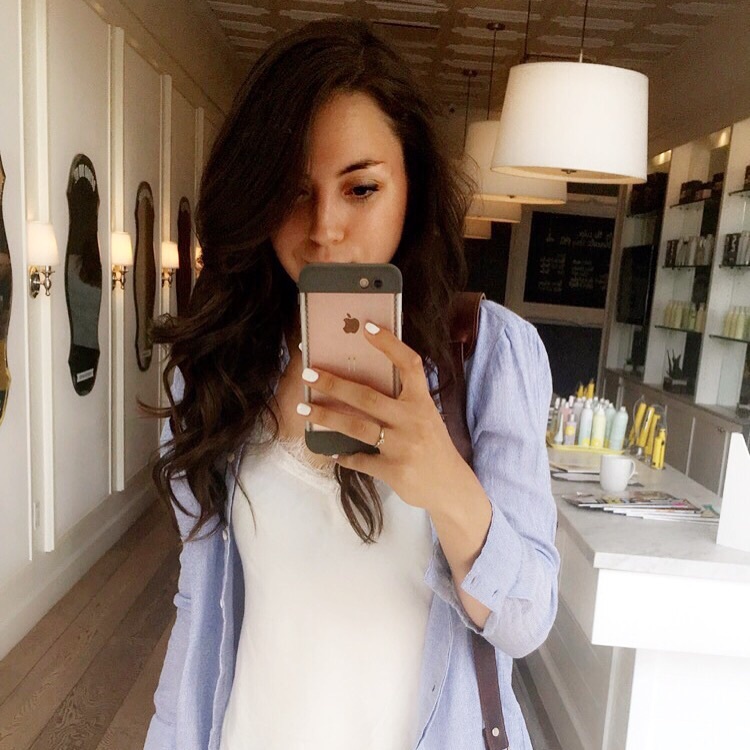 So the other day I took a [well deserved] trip to the DryBar, and THANK GOD for that. My hair now looks alive after a little bit of mudslide treatment and in the hands of a professional. If you've followed my recent posts, I've started talking about minimalism and essentialism. I've gotten rid of over 200 items, donated and sold. And that's huge for someone like me, but more of that in a later post. My point is- I rather spend money on things that make me FEEL good, like smooth hair (for now) ;), than STUFF that I just have laying around. So for now, hair is still long in a true beach cali girl spirit!